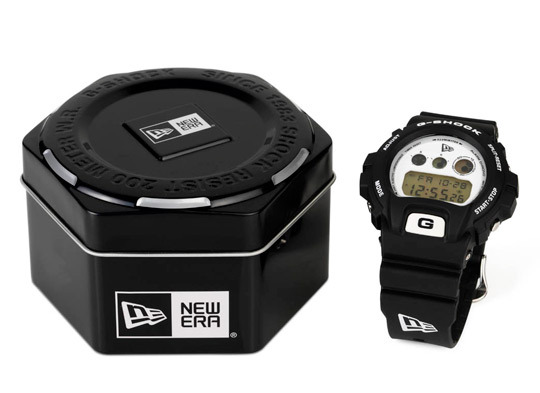 For Holiday 2011 G-Shock has linked up with New Era. Together they present a collaboration on the iconic DW-6900B watch. Keeping it classic and clean, the watch comes in a black/white colorway, with the New Era logo being featured on the dial, back of the case and the backlight. Matching, the watch comes packaged in a custom metal box. A release is scheduled for December 3rd, 2011, at New Era flagship stores and retailers.